Aslihan is an architect and researcher in heritage and urban history. Since 2004, she has worked on a number of architectural project internationally, looking at how to strengthen the links between heritage, identity and place. 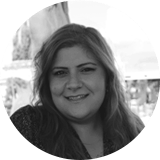 Aslihan holds a BA(Hons) in Architecture from Karadeniz Technical University, Turkey, a Grad. Dip. in Architecture from Kingston University and a MA in Architecture and Cultural Studies from Oxford Brookes University. Her academic work has been published in numerous magazines and journals in Britain and Turkey. For the last five years, she has been undertaking research on UNESCO World Heritage Sites. Aslihan’s practice investigates World Heritage Sites which are under pressure from diverse and conflicting socio-economic forces, in need of coherent regeneration plans. She is currently conducting her PhD research at Kingston University.